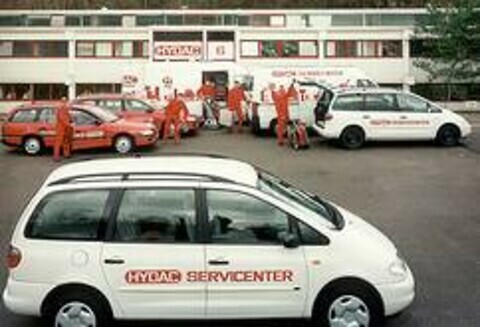 HYDAC has brought a new mobile laboratory vehicle in service that offers examinations of technical cleanliness on site. The consumers and manufacturers expectations and requirements increase permanently for parts and systems like gearboxes, engines and hydraulic drive systems. Power density grows, clearance decreases. Weights in vehicles and machines will be strong reduced because of attempts for energy and cost efficiency. Moreover there’s a shift to unleaded materials for example, what causes higher requirements for quality and surface finish. Years ago, hard particles just dented themselves in leaded materials – today they cause damage and failure because of modern materials. The Manufacturer has to guarantee a growing level of availability simultaneously. That’s why the production is reviewed and optimized in relation to technical cleanliness in more and more factories. The result will be, that zero kilometre failures and rework will be reduced as well as the quality and disposability of machinery and components is going to be increased. This saves costs and reduces cases of complaint and generates a higher level of customer satisfaction. Trust and market acceptance will be consolidated consequently. HYDAC has brought a new mobile laboratory vehicle in service for being able to make examinations of technical cleanliness on site. The service vehicle is equipped with a CTU, a high-resolution microscope and laboratory equipment for a technical correct sampling. Beside the determination of technical cleanliness of components, HYDAC offers the analysis of process chains. During this process chains, the whole process of the production will be analysed. Production stages that causes pollution on the components can be detected in this way. A sustainable improvement of the technical cleanliness can be ensured by improvement suggestions and periodical samplings. Requests for the topics technical cleanliness and mobile laboratory can be addressed to "info@hydac.com".